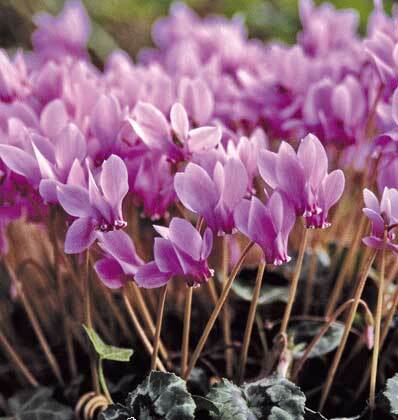 Cyclamen are a lovely group of tuberous plants. 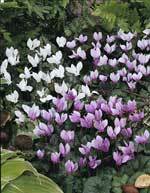 The most suited to the shady garden are the Spring flowering Cyclamen coum, and the August/September flowering Cyclamen hederifolium. Both are completely hardy and relatively easy but they don't enjoy poor drainage. Rather happliy, slugs and snails aren't tempted by these gems! 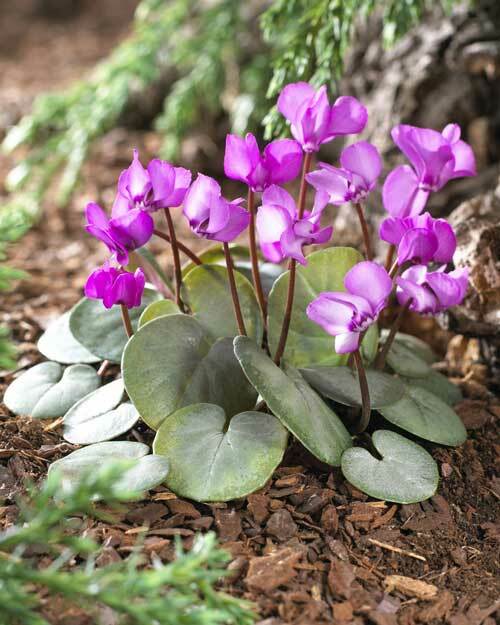 Cyclamen hederifolium is very tolerant of dry shade. It's Summer deciduous and will spring back to life with the late Summer rains. 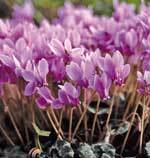 Cyclamen coum flowers from January and is a useful complement to snowdrops, winter aconites and other early Spring flowering bulbs. Cyclamen coum is not for the very driest soils but thrives under trees and will grow even in short grass. If you have heavier soils, work in some grit and leaf mould. 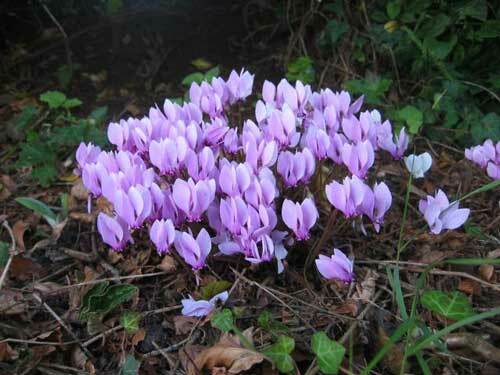 Cyclamen repandum is quite a feature of many West Country woodland gardens. 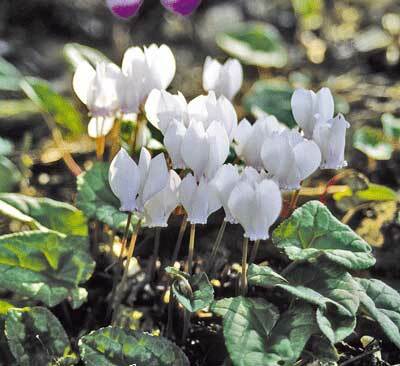 May flowering, Cyclamen repandum thrives in acid sandy soily, or in a raised bed which doesn't lie too wet in Winter. The December 2017 issue of the RHS Garden Magazine features a very comprehensive article about these fabulous little plants. Beautiful, with elegant silver leaves and pink flowers. Best planted in semi shade at the same depth as in the pots. White and silver marked leaves pink flushed in Autumn, pink flowers from August through September. 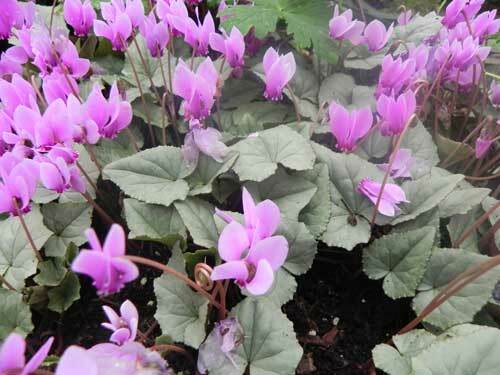 Cyclamen hederiflium if very easy to grow in any well drained shaded spot and one of the most tolerant of the driest dry shade. Plants at 20cm centres and at the same depth as the pots. Pure silver leaves with pink flowers in masses in Autumn, very easy to grow, as easy as the straight species. Cyclamen hederifolium are very easy to grow in any well drained shaded spot and one of the most tolerant of the driest dry shade. Plants at 20cm centres and at the same depth as the pots. Needs deep, preferably sandy, acid soil to do well. April - May flowering to 15cm tall, tends not to emerge till February and dies down in early June. Can be grown well in a raised bed.